This project is an entry for the Gopher Gala 2015 hackathon. 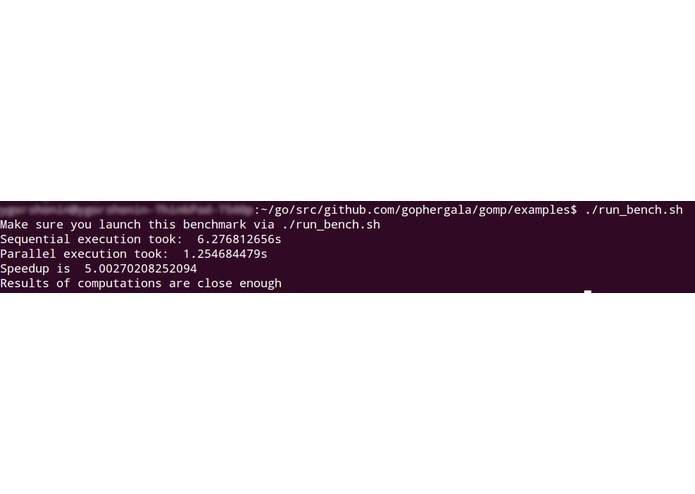 We tried to explore what can be done if one wishes to provide Go programs with functionality similar to that of OpenMP® within the 48-hour time slot of the hackathon. For more information see http://gophergala.com and http://openmp.org. I implemented parser + AST modification part.